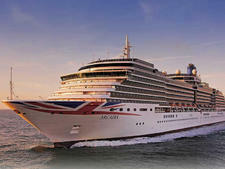 Editor's note: P&O Cruises has made plans to sell Oriana; the ship will leave the fleet in 2019. 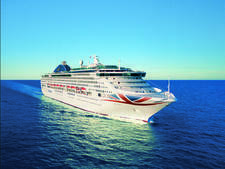 Launched by HM the Queen in 1995, succeeding the first Oriana that entered service in 1960 and became a firm favourite with British passengers, the latest ship has followed in its predecessor's wake. The cultural heritage of this traditional-style vessel -- part of the eight-strong P&O Cruise fleet -- runs through it like the wording in a stick of rock. 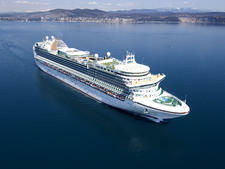 A multimillion-euro facelift in 2011, which coincided with Oriana being launched as an adult-only ship, enhanced rather than radically altered the original offering. The refurbishment saw the addition of 27 new cabins, including balconies and singles, in place of the previous children's area, a refreshed spa and a new seating area on D Deck, where the children's pool used to be. In November 2016, Oriana underwent a three-week refurbishment at the Blohm & Voss shipyard in Hamburg, Germany. The substantial refit included a complete makeover of cabins, bars, entertainment areas and public spaces to create a brand-new look. 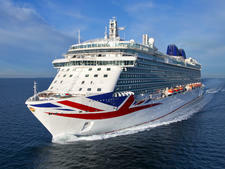 Also notable are the replacement of Sorrento restaurant with The Beach House and Marco Pierre White's Ocean Grill with Sindhu, even as P&O Cruises' partnership with Sindhu creator chef Atul Kochhar has ended. 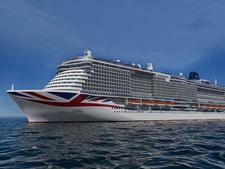 With entertainment and food firmly aimed at British tastes and engaging, courteous and ultra-helpful English-speaking crew members, Oriana sticks to a tried and tested formula that caters extremely well for a particular market. There are no gimmicks or fads, glitzy over-the-top entertainment or extreme onboard activities, and it leans toward the refined atmosphere of a comfortable country house hotel. From short breaks to a world cruise, Oriana's varied itinerary features the Mediterranean, Norwegian fjords, Baltic, Atlantic islands, Canada and the USA. On our cruise, there were a few gripes about cabin noise, but overall it was a very happy ship, demonstrated by the number of repeat passengers who have been sailing on both of the namesake ships for many decades. The under-50s on our cruise were in the minority. 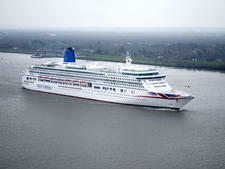 Oriana appeals to a mature and almost exclusively British clientele, mainly couples, along with small groups of friends and middle-aged children travelling with one or both parents. A grumble among nimble footed single ladies was that there weren't enough spare men to dance with and no gentleman hosts. Whilst some were on their first cruise, a lot of people were seafaring veterans, many loyal to the P&O brand and several recounting tales of feeling all at sea on the few occasions they'd defected to larger international vessels. Sociable and well-travelled, they were fun to talk to, and it was easy to see how friendships are often formed, demonstrated by several couples who originally met onboard and travel together each year. They threw themselves wholeheartedly into the onboard activities and excursions, and each night when we headed to bed, we were outpaced by hardy octogenarians and nonagenarians burning the midnight oil. Life onboard is relaxed and casual during the day, with many people happily wandering around in dressing gowns en route to the spa and pools. After 6 p.m., evenings are divided into black tie, smart and casual. 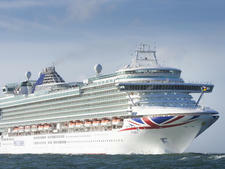 Passengers can expect two formal nights on a seven-night cruise, four on 14-night itineraries and so on. There's a useful reminder and explanation of the daily dress code in the Horizon newsletter, and whilst the men donned tuxedos for the black-tie nights, women tended to go for posh frocks and cocktail dresses, rather than full-on ball gowns. (There also weren't the sequins and tiaras you get on some ships.) Smart turnout requires jackets for men, with dresses or separates for women, and just about anything goes on casual nights, including jeans. Whilst some casual evenings were further subdivided into '60s and '70s, it didn't make a huge amount of difference, and there's no obligation to break out the flares. A £7 per person auto gratuity is added to your bill daily (for over 12s). Other tips are at your discretion.